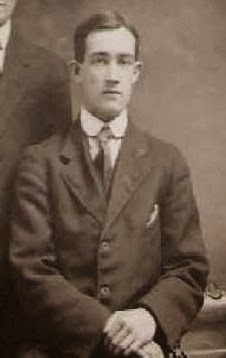 The older brother of my Grandpa Kinnaird was born in Morewood, Ontario on September 8, 1891. His birth certificate names him as Stephen "Aldin" but every other document I found spells it "Alden". I wonder where the name "Alden" came from as often I've found that mother's maiden names and family names were used as middle names. His mother was a Carruthers and I have not seen that name used in any of her extended family connections. His maternal grandmother's maiden name was Steven, with a v not a ph.. Stephen's mother, the former Margaret Carruthers, died of tuberculosis in 1894 before he turned 3 years old. 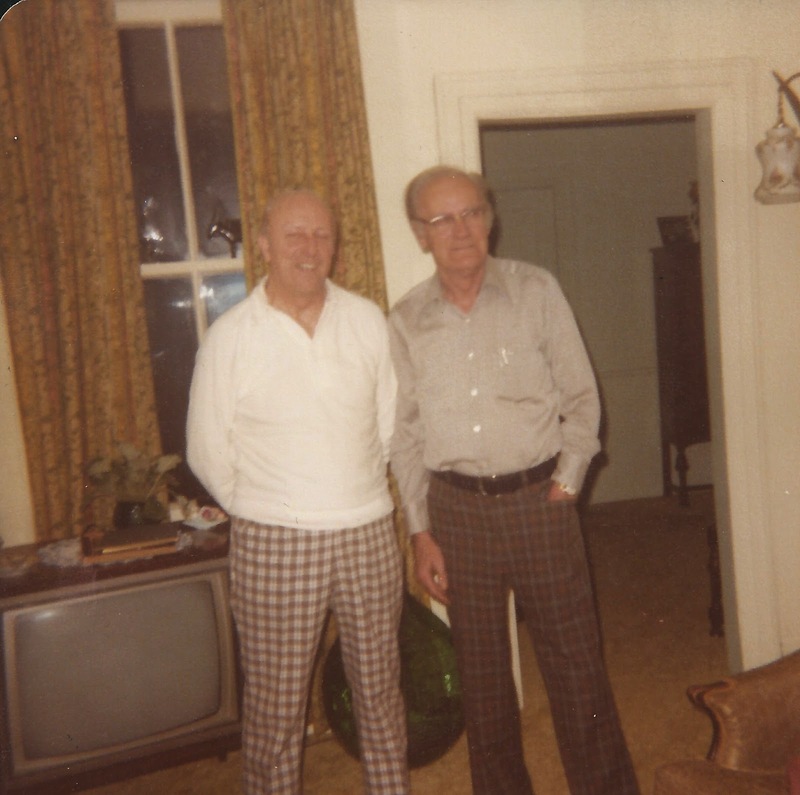 His father, George from week 6 of this blog, remarried Elizann Crump two years later. On the 1901 Ontario census, nine year old Stephen is living in Winchester Township with his father, stepmother Elizann, twin 3 year old stepbrothers and another one year old stepbrother. His 7 year old brother William Francis (Frank), my grandfather, can be found living nearby with his uncle Stuart Carruthers, his wife Jane and their three sons ages 5 - 1. In the above photo, Frank is standing and Stephen is sitting. I am guessing it was taken shortly before Frank moved to Manitoba to live with his aunt Christina Carruthers O'Neil. I have not yet found Stephen on the 1911 Ontario census. He is not with his father on his farm in Finch County nor in the surrounding area. He may have been missed or his name misspelled or mis-transcribed. 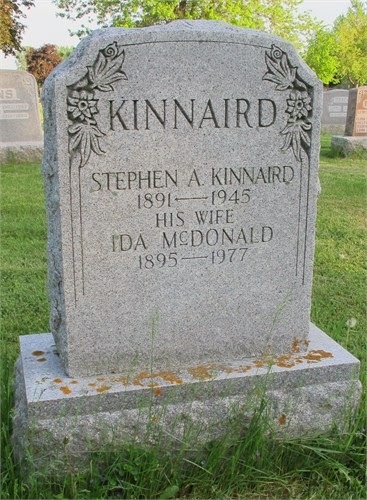 Stephen married Ida McDonald on February 12 in 1913 in Kenmore, Carlton Township, part of present day city of Ottawa. He was 21 and she was18. They went on to have two sons, Orval and Ellis. Aunt Marjorie and Uncle Tom travelled to southern Ontario in the late 70's and early '80's where she was able to meet these cousins of hers for the first time. The above picture is of Stephen's sons, Ellis on the left and Orval on the right. I have also seen his name spelled "Orville" but on his birth certificate he is named "Orval Francis". The photo above is of Stephen on the far right. 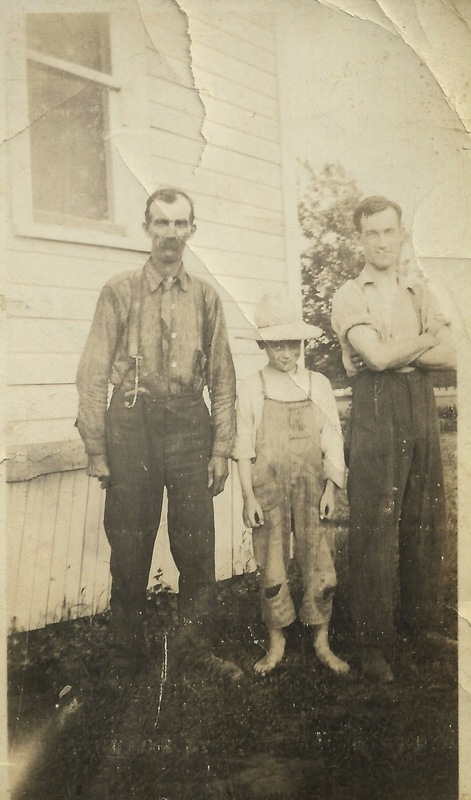 Also in the picture is his father George and his eldest son, Orval. It would have been taken in about 1920. In 1921, Stephen lived in Vernon and his occupation was a cheese maker. He managed the cheese factory at Belmeade says this online resource from 1925. One of his twin stepbrothers, Ellis, was also a cheese maker. Sadly, that Ellis Kinnaird died young in 1918 from influenza and pneumonia. The following quote is from a webpage about the history of cheese making in Southern Ontario. Cheese has always been an essential source of nourishment in the pioneer diet. Today it is considered a delicacy but in early days it was a staple food. Its importance lay in the fact that it improved with age, rather than deteriorating as most fresh foods did. There was no refrigeration. A cool cellar or a marble slab was their only way of cooling foods. It is well known that there is no better cheddar cheese than that of Eastern Ontario. He was an elder in the Osgoode Presbyterian Church in Vernon for a time and his family also attended Reid's Mills Church near Belmeade. Aunt Marjorie remembers the late night phone call in 1945 saying her Uncle Stephen had died very unexpectedly at age 54. He is buried with his wife Ida, who died 32 years later, at Maple Ridge Cemetery near Chesterville in Dundas, Ontario.